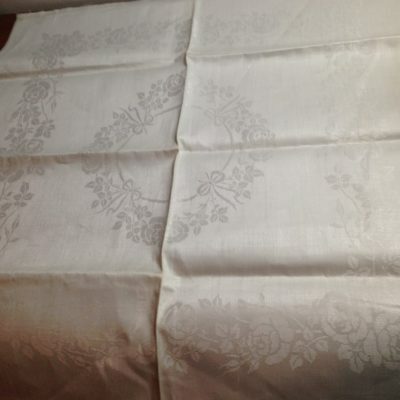 Tampella linen damask tablecloth Rokokoo 80×92. Tampella linen damask tablecloth Rokokoo 80×92. Designer Siri Brunou, in production 1901-78. Good condition.